I was out doing a little bit of shopping and somehow ended up in front of the potato chips, specifically the Pringles display. Someone smart at Walmart had it set up right next to the beer section, which was honestly what I was perusing. And then my eye was drawn to the word “Bacon.” What’s this? 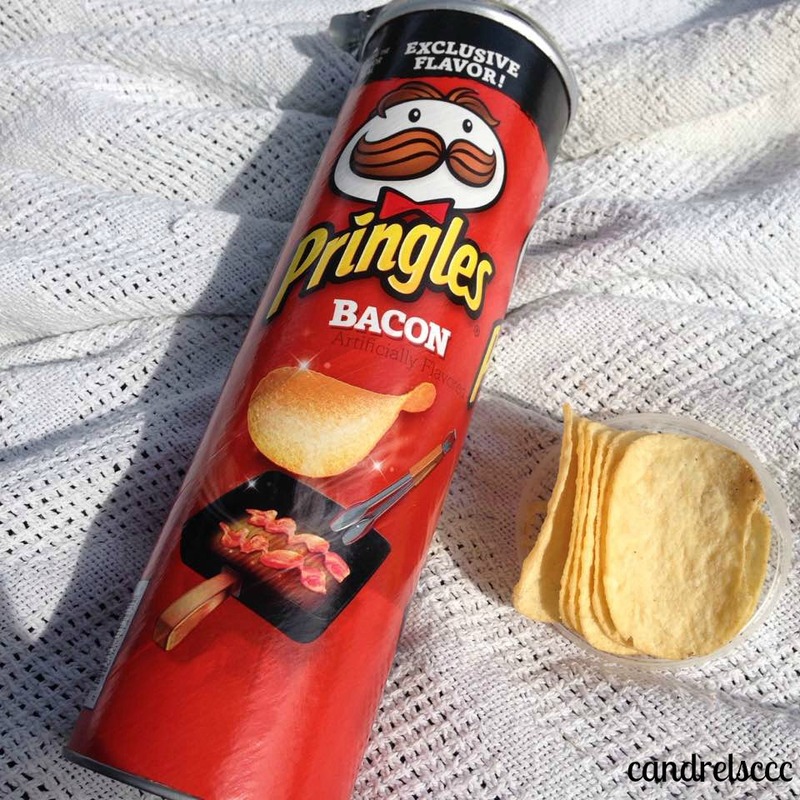 Bacon Pringles? Curiosity outweighed my ability to usually resist this treat, and I had to give them a try. I did wait a little while, though. I felt compelled to give myself some time to find a day when I would be able to truly enjoy and savor every bite. After all, this was going to be a treat of sorts. So, line up a Saturday afternoon, where the sun is brightly shining. The temperature is in the low-to-mid 70’s. The neighborhood is miraculously quiet. And I am sitting outside in my makeshift third outdoor office, which is nothing more than an old blanket I can move around the yard, as needed. It was like a mini picnic for me, as I was able to enjoy snacks and small meals throughout the day as I wrote and read and crafted. I opened the can with that Pringles pop and then had to set up the obligatory picture. Then, I was free to taste. Those first few bites reminded me a lot of the barbecue flavored Pringles, only with a subtler taste. I thought maybe my tongue was playing tricks on me, so I went ahead and drank some water to cleanse the palate a bit and tried again. Something still reminded me of the BBQ flavor, though it wasn’t quite the same. And it definitely wasn’t a bacon flavor. I decided to read through the ingredients. I already knew that the flavoring was supposed to be artificial, per the front of the can. (It’s hard to see in the pictures, but “Artificially Flavored” is printed in dark red just under “Bacon.”) All I could find was “natural flavors (including natural smoke flavor).” Well, I don’t think that bacon is quite one of the natural flavors, and I am curious about what those natural flavors actually are. I am also curious about why this is considered an exclusive flavor, when I know I have seen others with bacon flavoring. And can we PLEASE get rid of MSG in products? Conclusion? 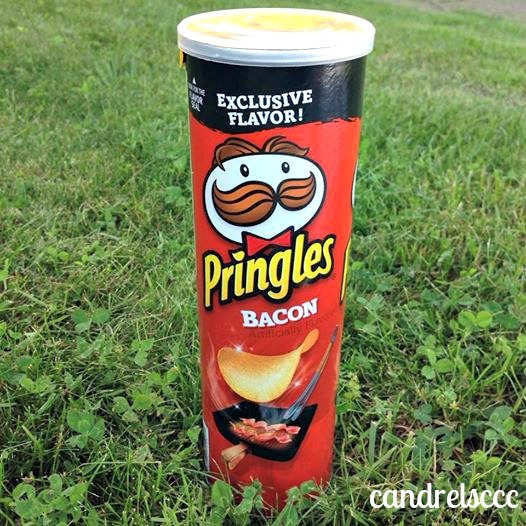 Well, while the taste does not immediately triggers thoughts of a beloved breakfast, Bacon Pringles are still tasty and snack-worthy. I feel like they would go well with beer, which is probably part of the reason they were displayed next to the beer cooler. In fact, I am craving one right now. They do have an enticing smell and also seem perfect for parties, as well as munching at home. 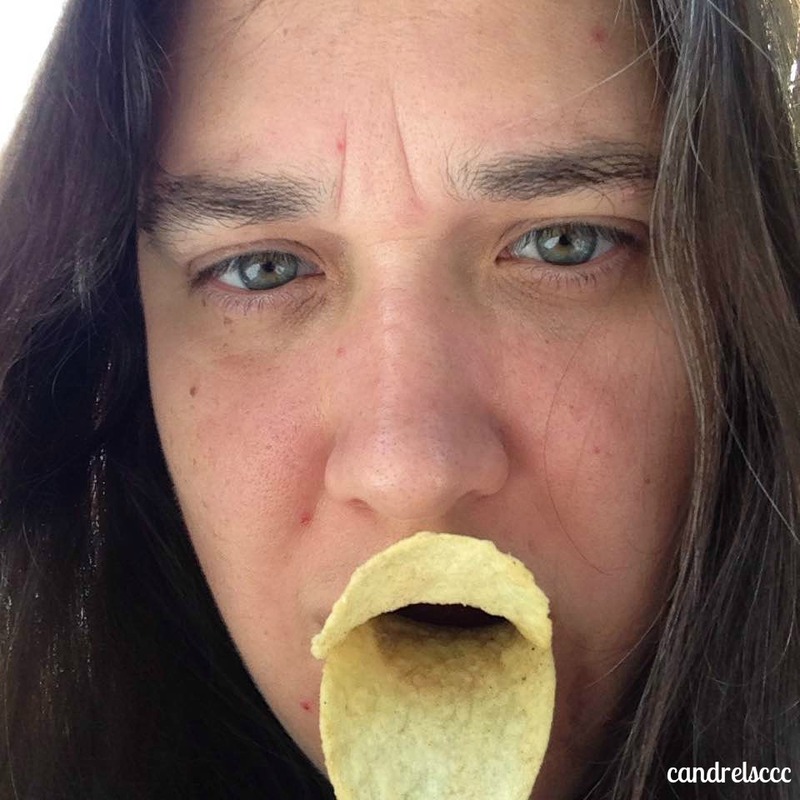 And they do still make for a fine duckface picture, as all good Pringles should.